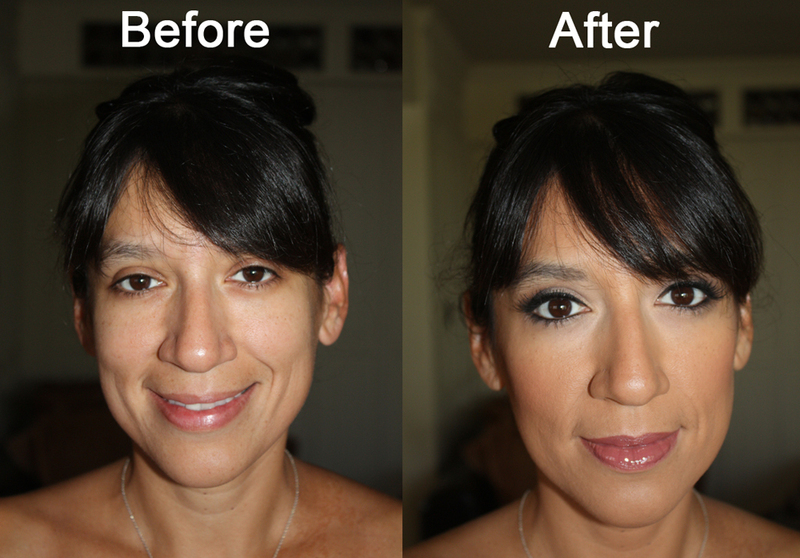 False Lashes for your Wedding – Yes or No? Discuss with your makeup artist the look you would like to create, and I’m sure you will be able to figure something out together. I always suggest doing a Trial run before your actual wedding-day to ensure you get the exact look you want. It’s a great way to try on different lashes to make sure you get the right ones for your eye shape and makeup style. Plus, you can do the Trial the same day as your Bridal Shower, Rehearsal Dinner, or Engagement Photos, and that way, you’ll already be done up for the event! However, if you’re going to try to attempt to do them yourself, Practice, Practice, Practice! Make sure you practice before the big day, and try several different types to see which ones you like best. Don’t experiment on your wedding-day (it’s stressful enough as it is). See my blog on applying false lashes for tips and instructions on how to apply them on yourself: How to Apply False Lashes. You can also watch my video tutorial to see how to apply them: False Eyelashes Tutorial. And when it comes time to remove them, here are some tips on how to pull them off without pulling out your own eyelashes (this is important…haha! ): How to Remove False Eyelashes. ← Bride’s Choice Awards 2010 Winner! This type of clever work and exposure! Keep up the excellent works guys I’ve incorporated you guys to our blogroll.